The following was published in the Spring 2015 issue of the Anglican Renewal Ministries magazine, Anglicans for Renewal. Since Anglican Renewal Ministries exists to help us all experience and enjoy more of the refreshing presence of God, the Holy Spirit, in our lives, our relationships and our church, from time to time it is encouraging to look into the benefits of living in that presence. When we do our best to live and move and have our being (Acts 17.28) in the Gifts of the Spirit (1 Cor 12.8-10 & 28), good things grow. 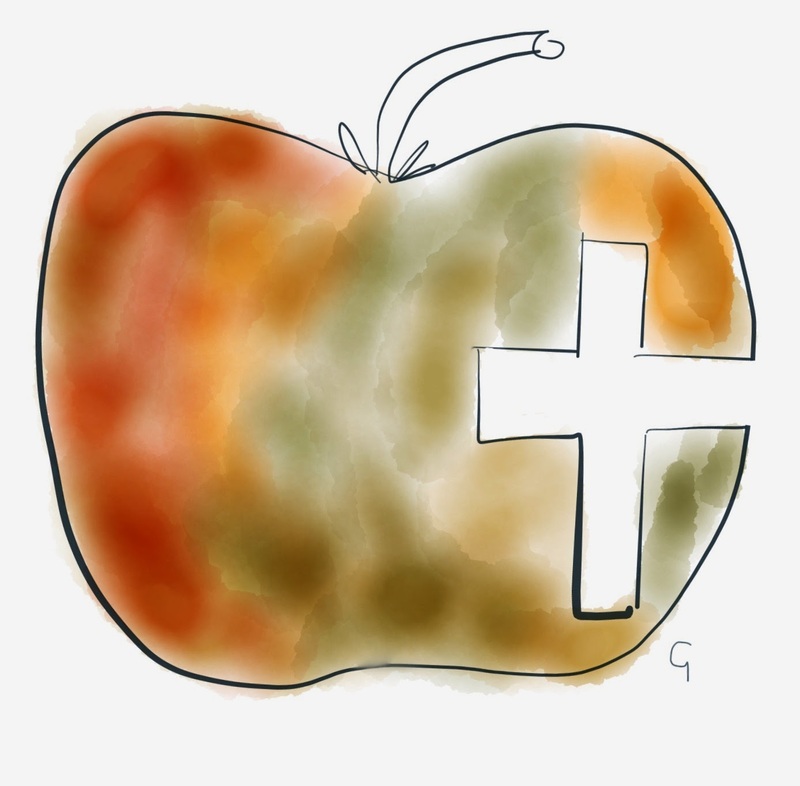 This is the first of a series of articles exploring those good things—the challenges, delights and blessings of Fruit of the Spirit ( Gal 5.22—see also Mt 7.15-20). Before we give the Fruit of the Spirit tree a shake, let’s take a moment to think about fruit in nature and what it’s for. Fruit is for reproduction. It bears the seeds and is the medium by which those seeds are distributed and sown. To that end, fruit is designed to be sweet and juicy, attractive and tasty. Being tasty and enhancing life’s flavours seems to be a part of The LORD’s recipe for fruitful Jesus following. Saltiness is another powerful Biblical image (Mt 5.13) for how we Christians are are called to attract and add zest to the lives of those around us. The Holy Spirit working through you and me makes lives flavourful and tasty with a divinely inspired balance of sweetness and saltiness. But lest we over-spiritualize the idea of being the folk who yield the fruit that attracts people to Jesus, remember fruit’s reproductive purpose and process requires eating, digestion, defecation, rotting and fermentation—earthy stuff—having to do with the real life and death that has to come before there can be resurrection (cf 1 Cor 15.35-49). This means the Fruit of the Spirit in our lives must be more than just sweetly sentimental well-wishing. The sweetest, most fruitful, fruit comes from the rich soil of you and me getting down alongside people where they live; especially with those whose lives have gone sour and who are mired in life’s pain and injustice. This is the earthiness that produces the fruit that leads to resurrection and new life. The more open and available I am to the Holy Spirit’s filling and empowering, the sweeter and tastier will my fruit be. So will yours. Healthy trees, says Jesus in the Sermon on the Mount, bear good fruit (Mt 7.17). So do healthy people, relationships and churches. 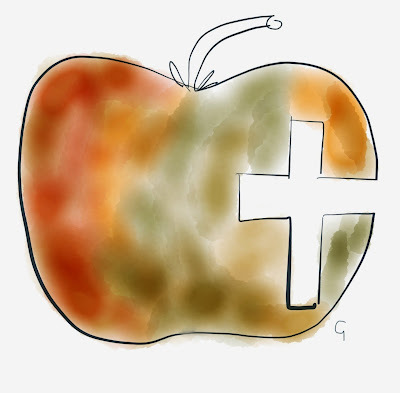 Moreover, it is by our fruits we will be recognized as Christians, or not (Mt 7.20), so let’s take a closer look at fruit. There are nine fruits of the Spirit according to the Apostle Paul’s letter to the Galations: love, joy, peace, patience, kindness, goodness, faithfulness, gentleness and self-control (Gal 5.22). It is no accident that love is the first fruit on the list. Just as love is the centre and foundation of Paul’s description of the Gifts of the Spirit, how they work and how they are to be used, in 1 Corinthians 12-14 (more on that in a moment); love is the first on his companion list of the Spirit’s Fruit. Love is always the greatest and more excellent way (1 Cor 13.13; 12.31). Without it, the rest of the Fruit cannot ripen. Love is number one, the other eight fruits are delightful and particular expressions of it. The Greek word is agapé. That’s the John 3.16 kind of love with which God so loves the world. The words for romantic, warm fuzzy, brotherly, sisterly or between friends love are all different. I don’t fall in agapé, I rise in it. Fruit of the Spirit love comes not primarily from warm feelings for a person, it comes from being prayerfully intelligent, purposeful and always focussed on the need of the other (Marva Dawn, The Unnecessary Pastor (Eerdman’s, 2000), p212) while needing no love in return. Fruit of the Spirit love is the fierce love of one who really cares about you or me. Fruit of the Spirit love is love to do, by choice of will, whether I feel like it, or not. John gives us a vivid image of love’s trajectory in John 3.16. God so loved, he wrote. Who? The world and everyone in it. That? He gave his only—not what he had to spare or didn’t need any more—his only Son, Jesus. And, following the same trajectory, Jesus so loved his Father and the world that he gave his life so that you and I get to enjoy eternal life. Surely Spirit-filled Jesus followers are called so to love—not just those with whom we agree or smell right or treat us well—everyone—so that we, too, will give what the people around us need in order taste and see how good the Lord is. Paul fills John’s image of love out even more in 1 Corinthians 13. Without this love, he states, I’m nothing. I can gong, clang and clatter away noisily in tongues, declare “Thus saith the Lord…” all I want, super-spiritually give away all I have, but if I do it without love I—and, more importantly, those around me—will gain absolutely nothing. So, if we really want to understand the Fruit of the Spirit, you and I really need to know what love is. Paul tells us. Love is—patient, kind, does not envy or boast, is not arrogant or rude, does not insist on its own way; is not irritable or resentful; does not rejoice at wrong-doing, rejoices with the truth, bears, believes, hopes and endures all things (1 Cor 13.4-7). Paul's what-love-is gives me the so with which I can do my loving. I need to keep the what-love-is fresh, then I can so love well and without fail. So do you.